In this series of blogs we’ll be looking to pop culture for career inspiration. Unless you’ve been living under a rock for the past week you’ll know that Nadiya Hussain quite rightly won 2015’s Great British Bake Off. Her acceptance speech brought a tear to many an eye and her victory has been all over the papers and EVERYWHERE online. But this is the UCL Careers blog. Surely we can’t make the GBBO about careers, right? We think Nadiya’s performance holds important career lessons for us all. And we’re going to tell you about them. Pushing yourself to have varied experiences will help you develop skills and confidence. And testing out different things can help you figure out exactly what you want from a career. If you’re nervous, why not start small? Try taking on a new task in a social or voluntary setting first. Then when you’re feeling braver you can transfer your new skills to your course or job. Ok. So Nadiya had some low points on the show. She presented incomplete vol au vents. She fluffed the soufflé technical challenge. She shed some tears. But did she let that stop her? No sir. Jobhunting can be tough, most people don’t just walk into the first job they apply for. Even the best candidates are bound to get a knockback every now and then. But staying positive and learning from your experiences is an important career development skill. Recruitment is an expensive and time-consuming business, as is training new staff. So it’s important for employers to know they’re taking on people who are motivated to work hard and stick around for a while. In your applications and interviews you need to show you’ve done your homework, you understand the role and the company, and you’re excited about the position. Nadiya was clearly serious about baking and the competition, hence the incredible show stoppers and the tears. 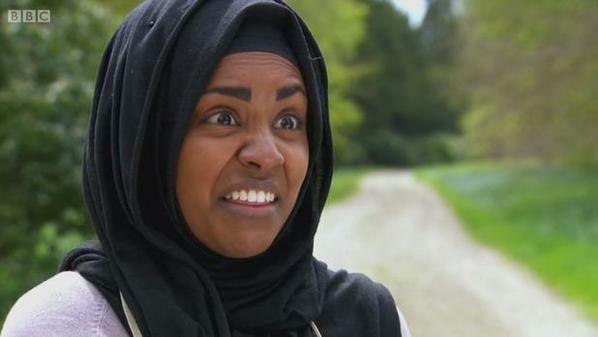 But for the best evidence of Nadiya’s passion, one need look no further than her wonderful facial expressions. Enjoy! New research published in Psychological Science has shown that written job pitches pale in comparison to the spoken word . When scientists at the University of Chicago asked people, some of them professional recruiters, to evaluate student job pitches, they responded better to videos and voice recordings than to the exact same speeches written down. Using identical words, when evaluators are able to hear a person’s voice (importantly, both with or without a visual video recording) they rate that person as more intelligent, thoughtful and competent. So what does this mean for your job hunt? Well, it means that networking is EVEN more important than we’re always telling you it is. 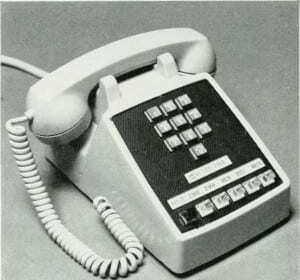 And that although online professional social networks can be a great way to identify useful contacts, they’re no substitute for actually meeting someone, or at least chatting to them on the phone. And you know when you’re invited to call for more information while applying for a job? Well maybe you should do that. Put together some intelligent questions to which you’d actually like answers, and use it as an opportunity to introduce yourself and what you have to offer – it could mean that they’ll pay more attention to your written application when it comes in. Did you know that employers sometimes only have 10 seconds to look at your CV? Writing one sentence about who you are and what you are looking for can attract their attention so they will continue reading. This will ensure your CV doesn’t immediately end up on the unsuitable pile. This means starting with the newest first. An employer wants to see what experience you have and whether it is relevant to the position. It is best to set it out this way so that the employer can see ‘your story’. Do include any voluntary work you have done as this highlights further employability skills. As a recruiter I don’t need to know that part of your daily duties are to make a cup of tea for your boss. What I am interested in are your achievements in each job and what transferable skills they can bring to this role. For example ‘At University I worked in a group to achieve a 2:1 in a group presentation’ shows that you have experience of working in a team and can achieve goals. This is easy to do if you are applying for a specific role. Try and mention everything it says in the person specification on your CV. For example when it says ‘Ability to prioritise a varied workload and meet deadlines – Essential’ you could address this by saying ‘Adhered to assignment deadlines at university whilst working part time at H&M’. This is a common occurrence – secondary school grades taking up a whole page because you feel like you don’t have enough experience to make your CV long enough. You can have a one page CV – it’s OK. Just bear in mind that an employer might not be interested in the fact you got an A for Child Development GCSE when it was five years ago and irrelevant to the position. If an employer wants to contact your references they will do so after the job offer stage. Unless you are filling in an application form that specifically asks for them, delete them and use the space to list more achievements. It sounds like common sense but including ‘I like shopping’ when applying to a data analyst position is not relevant and it doesn’t show any transferable skills. ‘I like building websites in my spare time’, however, would be more suitable. This shows consistency and attention to detail. It makes CVs much harder to read if paragraphs are in different fonts or sizes. Use a sensible font like Times New Roman, Calibri or Arial. There’s so much advice out there (like this post! ), so be sure to use it. If you’re a University of London student or recent graduate and you haven’t already, check out our CV resources in CareersTagged. Get as many eyes on your CV as possible before you use it. Ask colleagues, friends, and family for their input, and if you’re a current student (or a recent graduate), make use of the university careers service available to you. When gearing up for an intense two-weeks focusing on honing you to be a highly employable global citizen, learning your new key skills directly from the employer you actually want to work for might not be an obvious approach. But UCL Careers actually has an extensive employer engagement programme based on skills development, which will be a large part of the Global Citizenship Summer Programme. Graduate recruiters are often very willing to give up their time to come onto campus and spend time helping students improve their employability skills. At the Global Citizenship Employability Programme, employers from a vast variety of sectors will join us on select days to help you with your interview skills, your CV, and assessment centre exercises. This is a great opportunity to improve your eligibility and confidence (by practicing with one of the most relevant people to your career interests) before you go up for the real thing. For the sake of a good example, let’s presume you study finance and it’s your dream to work for Barclays. Would you pass up an opportunity to get a personal session with somebody who recruits graduates to work for Barclays, in a totally informal way, and receive feedback from them on your CV and your interview abilities? You never know how far impressing the right person at the right time can take you. The scenario described above is not, of course, applicable to everyone. Let’s look at another example – say you are serious about your studies and have a good idea of what you want to do, but only vaguely where you want to work. Why not take the totally free opportunity to meet a recruiter from the sector or sectors you’re interested in, who will give you tailored, relevant feedback to prepare you for applying within their industry? Alternatively, it might even be an extremely useful and efficient way to figure out what companies or sectors you might not actually be that well suited to after all. Who knows— you might even be surprised when you’re a student who just wants some professional feedback— anybody’s professional feedback—and you realise that your skills are quite well suited to an employer that you’d never considered before. 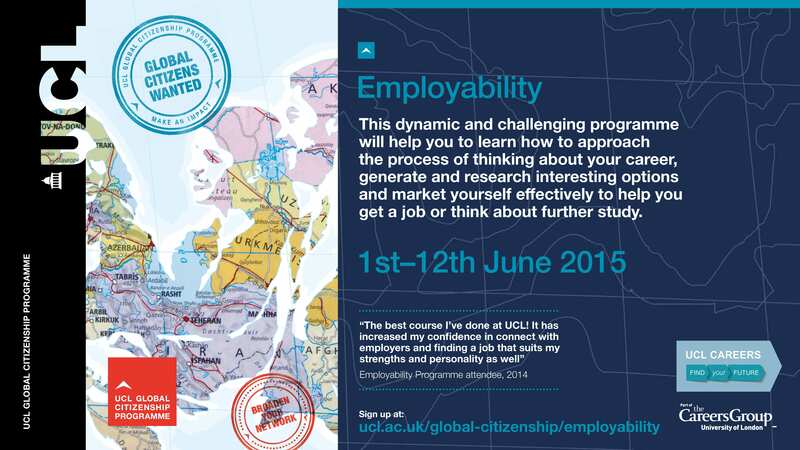 At the Global Citizenship Employability Programme, you will meet and work with a variety of employers. You’ll have chances to network and potentially make some useful contacts along the way who can answer your questions and tell you about the skills they developed when they were in your position. You’ll practice intense and high pressure “speed” interviewing, practicing answering competency questions under time pressure to a series of employers from different industries. You can get your CV checked and work with a group of students to understand what you can do to improve this fundamental document. There will be a number of diverse, helpful viewpoints that you will be exposed to, and invaluable advice tailored to your employability. Have you thought about targeting local SME businesses for your job search? So, you’ve decided the big corporate world is not for you. You would much rather work for a smaller company – an SME, where you can make your mark, take on responsibility, get to understand the whole business not just a fraction of it, and potentially rise to the top. The next stage is to work out what SMEs are out there and how to target them? One way might be to think about what is on your doorstep. 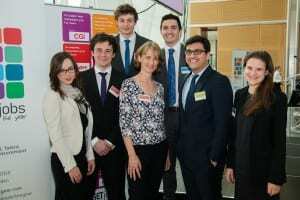 Students based in London have a plethora of businesses to target and the majority of them are SMEs. According to the Federation of Small Businesses and Department for Business, Innovation & Skills there were 841,000 private sector businesses in London in 2013. From data that we collect through the Destination of Leavers from Higher Education survey we can see that during the last 5 years after graduation 827 UCL students had graduate level roles in SMEs across London with 294 UCL students in businesses based near UCL in the WC1 area. In just one year (2012/13) 395 UCL graduates had graduate level positions in SMEs throughout London six months after they graduated. Of those students 35 were based just near UCL. By targeting local businesses to UCL you can build up a relationship with an employer while you are still a student. The employer is likely to know UCL, might be extra keen to engage with UCL students and could be willing to offer you the opportunity you have been looking for. Once you have your target list of SMEs you will need to contact them to see what opportunities they might be willing to offer – you could ask if they have a summer internship scheme or you may find it more fruitful to ask if they would be able to have a short informal chat with you about the work they do, or perhaps could they offer work shadowing for a day or two. As they will be local they may be more willing to offer you something and the hope is that the initial thread can ultimately lead, perhaps via one or two more interactions, to something more robust. 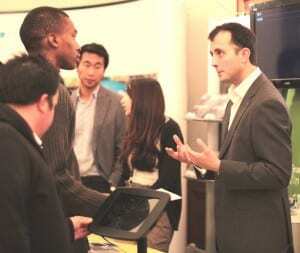 To source opportunities with SMES register with our shortlisting service UCL Talent Bank. For UCL students wanting more help with sourcing SMEs in relevant sectors and locations, and for general guidance on approaching businesses speculatively book an appointment with one of our Careers Consultants. Do we live in a VUCA world? VUCA is an acronym used to describe or reflect on the volatility, uncertainty, complexity and ambiguity of general conditions and situations. The common usage of the term VUCA began in the 1990s within US military and has subsequently been used in emerging ideas in strategic leadership that apply in a wide range of organizations, including everything from for-profit corporations to education. The business sector has been talking about a VUCA world for a couple of years now, suggesting the turbulent environment is real and is here to stay. Is this the “new normal”? And if so, can we really prepare for a VUCA world? Dan Simpson, Head of Talent at Siemens UK believes that we should! In order to survive in the VUCA world, we need to change our perception of work. In this brave new world, work is less location-specific and more network-based. Your networks are key! You will take them with you throughout your career regardless of employer or location. In our VUCA world, we must acquire and, more importantly, continuously update our skills for success. We need to be prepared to take advantage of different learning methodologies: bite-sized learning in TED talks and MOOCs. The ability to acquire life-long learning, the ability to reflect and adapt to new ideas is and will become increasingly invaluable. Whether or not VUCA is the “new normal”, there is no doubt that the world is being shaped in this way. Dan Simpson at Siemens UK specifically searches for candidates who are able to recognise the importance of networking building, reflecting and updating skills. To prepare for the unknown can only be a good thing. To find out more about VUCA and how to prepare for the unknown, sign up to the University of London’s Employability MOOC which runs until 25th July.